Squirrels again and another confrontation. 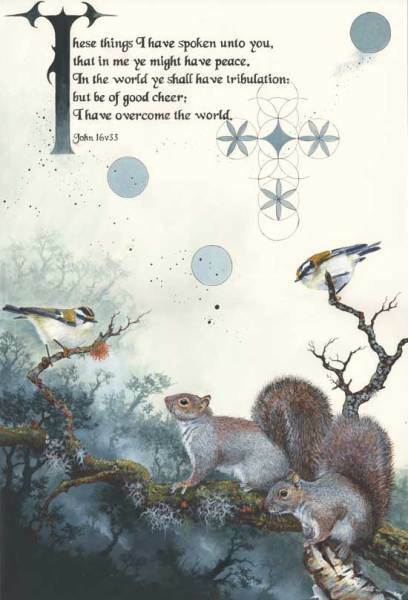 This time its Grey Squirrels and Firecrests. Lots lichen and moss too. Troubles come to all of us without exception. Only the degree of trouble varies. The Christian however, is aware that sometimes there is another dimension to it. But we should not be too quick to apportion blame to the powers of good or evil. It could be either. And sometimes we just bring it on ourselves. The condition of the Earth and the blame for it lays squarely at our feet.